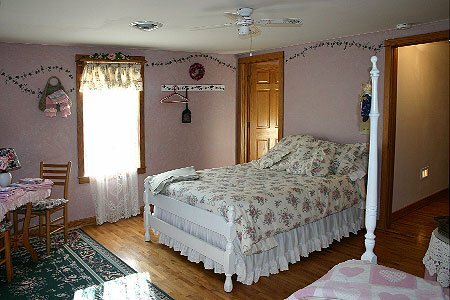 Our home includes 5 upstairs bedrooms, which will sleep 15. 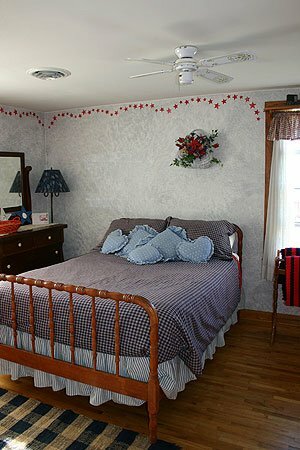 We also have 2 downstairs rooms which sleep an additional 8 guests. 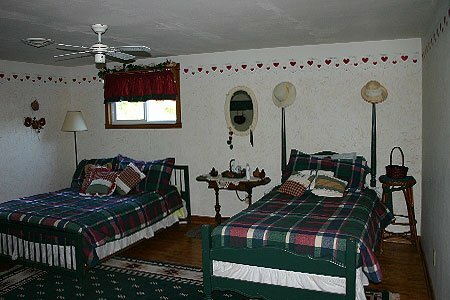 Downstairs rooms have a shared bathroom. 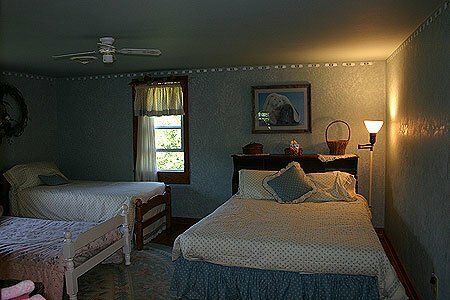 ALL PRICES INCLUDE: Lodging, breakfast served to your schedule, open use of activities on farm. Full house rental: the whole house can be rented for $500 per night, for up to 25 guests, with a two night minimum. For parties that exceed 25 guests, an additional $5.00 per person, per night will be charged.